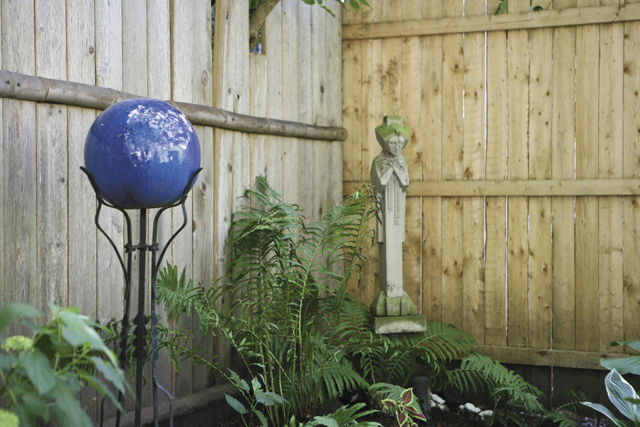 The Gorgeous Gardens of this Home & Garden issue are full of great ideas for your own. Whether more minimalist like Kate and Joanne’s or full of hidden treasures like Gary and Michael’s, you’ll find inspiration. Tom and Dean used both modern and historic decorating elements in their deck, yard, and gardens. This particular stone piece came from a church in Northeast Minneapolis that was demolished recently. Other items of both sacred and secular origin can be found at architectural salvage dealers like Bauer Brothers: www.bauerbrotherssalvage.com, City Salvage: www.citysalvage.com, and Architectural Antiques: www.archantiques.com. Prices vary. Joanne and Kate’s garden, with its various outdoor “rooms,” also utilizes eco-friendly techniques of gathering rainwater from the downspouts in rain barrels. 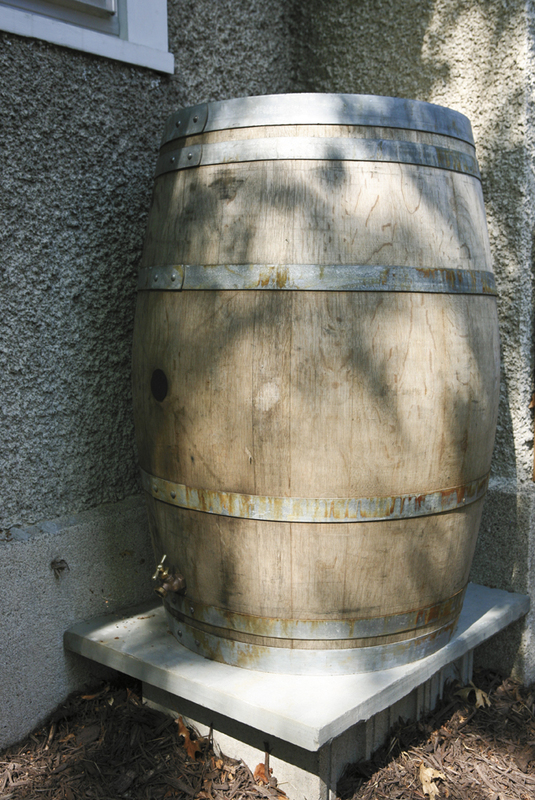 Not to scream that they are reducing, reusing, and recycling, the rain barrels they chose are old wine barrels from France fitted with attractive spouts for water use. $195.00 at Tangletown Gardens: www.tangletowngardens.com. 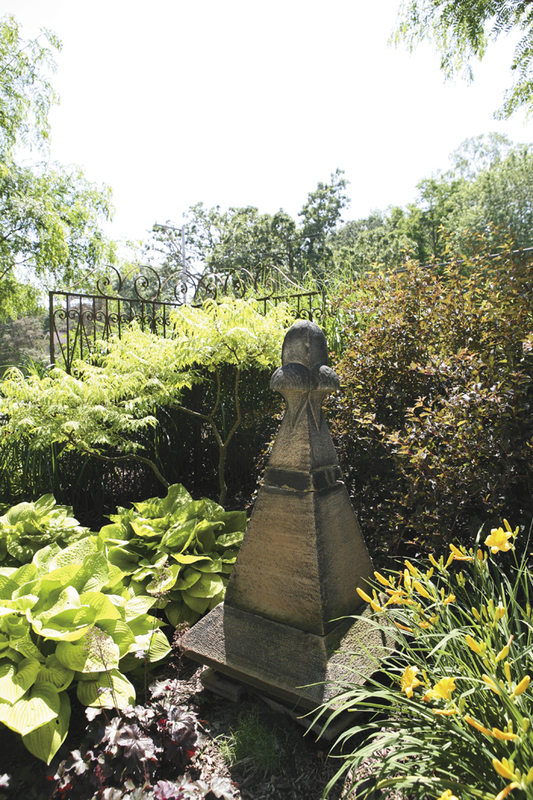 Two of the gardens in this issue (Tom and Dean as well as Dale and Rick) featured a garden sprite by Frank Lloyd Wright, originally designed for Midway Gardens in Chicago in 1913. 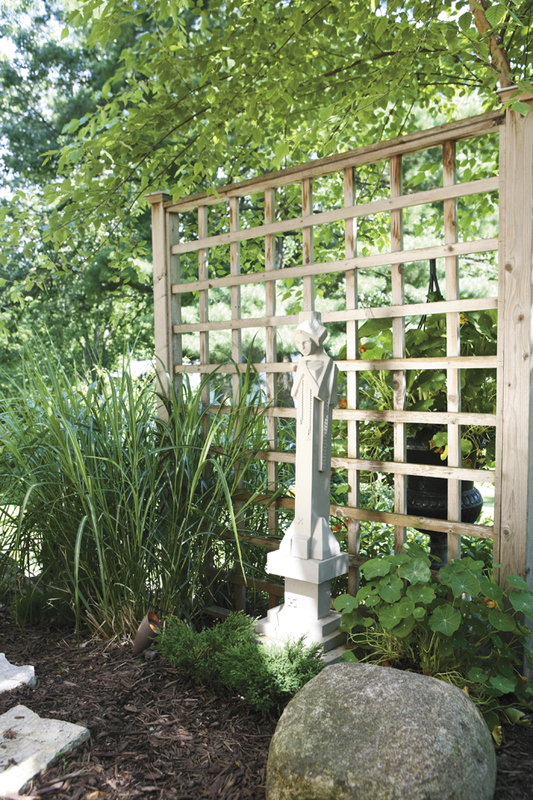 Timeless in its design, yet perfectly aligned with the Arts & Crafts era, this piece and similar reproductions can guard your garden with charm. $175.00 at the Frank Lloyd Wright Preservation Trust: www.shopwright.org. Sometimes, the outdoor spaces can feature artwork that is only brought outside for short time periods–to be enjoyed and then returned to the safety of shelter and controlled temperatures. Dale and Rick’s garden features sculptures of Dale’s own handiwork as well as some of his prints on the wall. 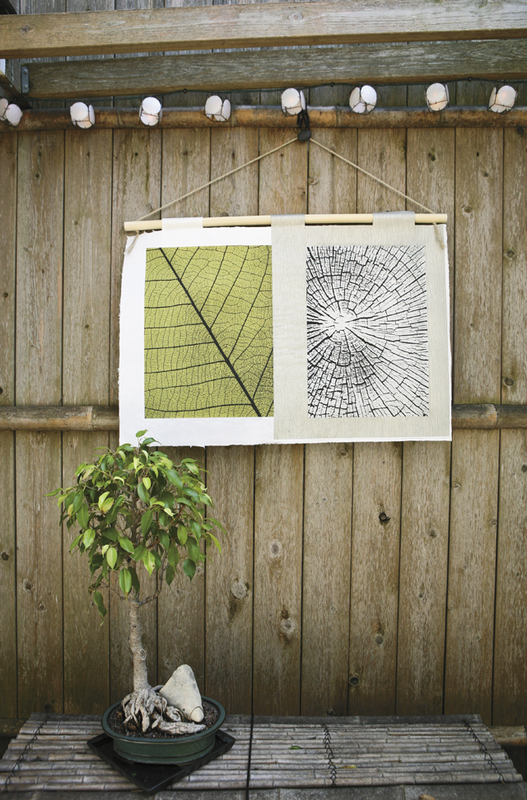 Whether you hang your own art in your garden or works of others, treat your outdoor spaces as you would your home. Let it all hang out. More of Dale Vanden Houten’s art can be seen at www.mnartists.org. 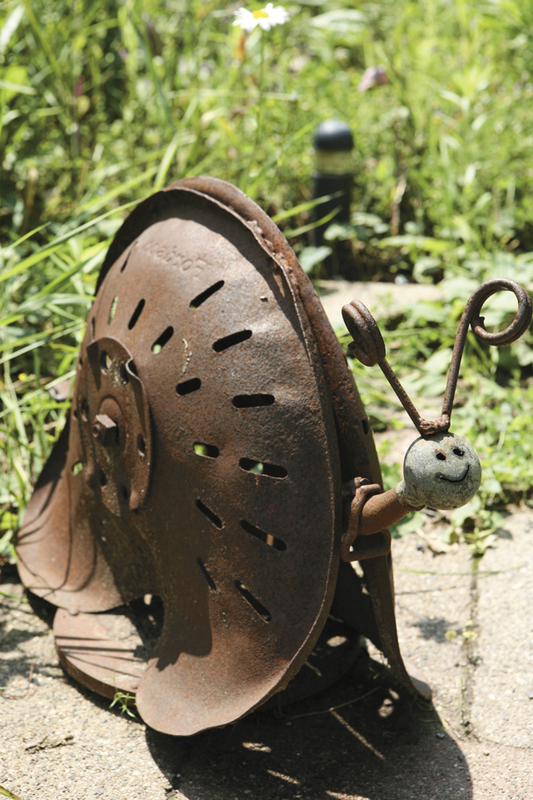 Gary and Michael’s garden is a menagerie of found art and sculpture. In addition to all the varieties of plants and flowers, Gary and Michael have collected outdoor art from various art fairs and festivals through the years. Made from tractor seats and coils and other various bits and pieces of yore, the animals keep the gardens in a perpetual state of whimsy. Their favorite fairs are in Stillwater: www.stillwaterrivertownartfestival.com and www.stillwaterfallartfair.com as well as Afton: www.aftonartfair.com.